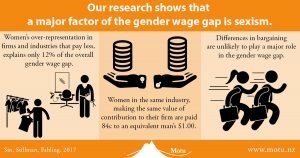 A recent study by researchers at Motu Economic and Public Policy Research provides strong, definitive evidence that sexism is mostly to blame for the gender pay gap in New Zealand. The study found that, on average, women in New Zealand’s workforce are paid 84 cents for every $1.00 a man earns, despite there being no statistically significant difference in productivity levels between male and female employees. 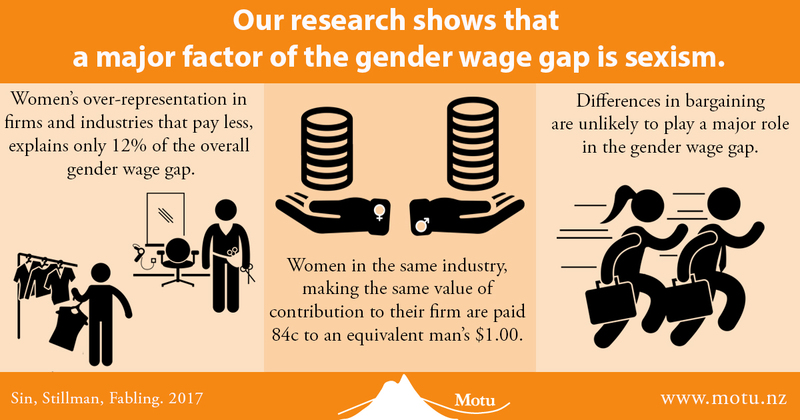 “This study is different to most previous wage gap studies in that it tests whether men and women are paid different wages for adding the same amount of value to their employer,” said lead researcher Dr Isabelle Sin, Fellow at Motu and Principal Investigator at Te Pūnaha Matatini. 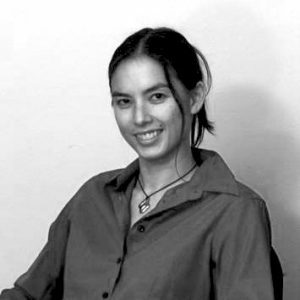 Lead study researcher Dr Isabelle Sin, Fellow, Motu Economic and Public Policy Research and Principal Investigator, Te Pūnaha Matatini. The researchers analysed New Zealand tax data for 50 per cent of the working population from 2001 to 2011, to determine how much of the overall difference between women and men’s pay could be attributed to women being employed in industries that pay less. 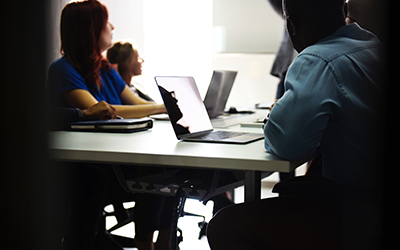 The study then looked at productivity and wages of New Zealand men and women in private, for-profit organisations with five or more employees. Using employee-level data linked to business information, they found that on average, Kiwi women are paid 16 per cent less than their male counterparts for making a contribution of the same value to their employer. Overall, the data suggest that sexism is a drag on large segments of New Zealand’s economy, with the gender wage-productivity gap as high as 40 per cent in some sectors – in finance and insurance, telecommunications, transport equipment manufacturing, water and air transport, and electricity, gas and water, and rail. 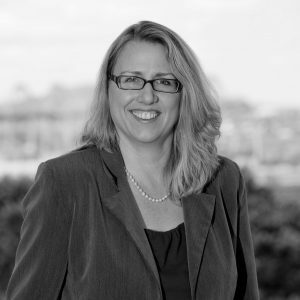 Professor Tava Olsen, Deputy Director – Industry and Stakeholder Engagement at Te Pūnaha Matatini. Professor Tava Olsen from the University of Auckland, Director at the New Zealand Centre for Supply Chain Management and Deputy Director, Industry and Stakeholder Engagement at Te Pūnaha Matatini, described the results as “pretty definitive”. “There is a gap and [because the study researchers] were able to get firm-level data on productivity, there’s really no explanation for it other than implicit bias or sexism,” said Professor Olsen. The Motu research is a lot harder to ignore than previous studies due to its sheer size and the nature or quality of the data collected, she added. “It’s not until you get a really big study like this that you can say ‘Oh yes, there is actually a problem here.’ Obviously, this isn’t the first study to show gender pay gaps, it’s just a very clean one in terms the data they got access to,” she said. “I doubt there are many countries who allow researchers access to their tax data… If you think about it, it’s pretty phenomenal.  “So I think this is quite important research in terms of showing there is a real gap. There is a problem here and it’s not really okay,” said Professor Olsen. Sin I., Stillman S., Fabling R. (August 2017). What drives the gender wage gap? Examining the roles of sorting, productivity differences, and discrimination. Motu Working Paper 17-15 Motu Economic and Public Policy Research.